Do you work in a clinic or rehab center with patients diagnosed with frozen shoulder or adhesive capsulitis? 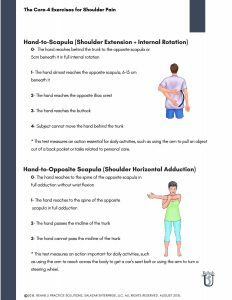 Have you been looking for an assessment tool to show functional limitations caused by frozen shoulder? If you answered yes, then check this out! This is an adapted version of a simple, 3 functional-related test battery specifically developed for assessing frozen shoulder . The link to the full study and description is below. This is a simple two page handout describing each of the three tests and a description of scoring it. Below each is also a brief description of the tests relation to functional ability. When to use these functional tests? 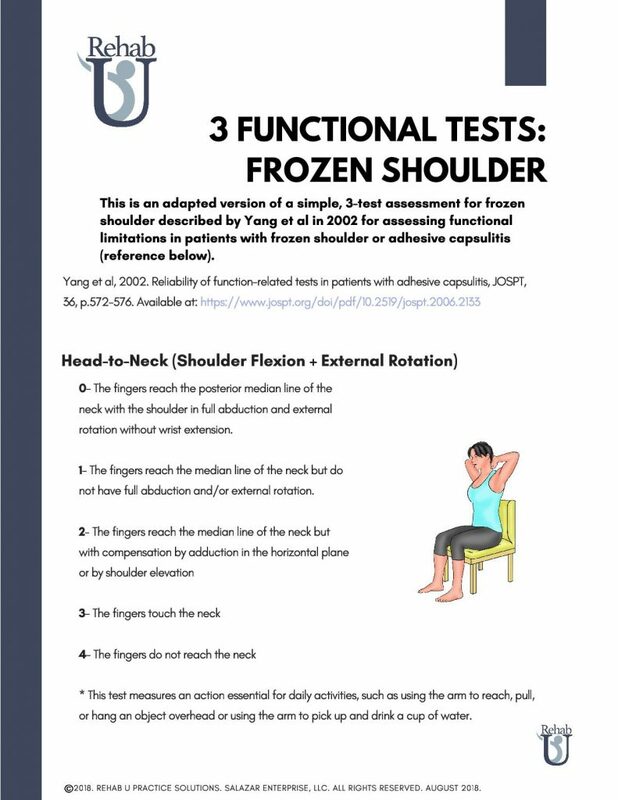 This test is appropriate for quantifying functional limitations due to frozen shoulder or adhesive capsulitis. Check out the reference below for a full description of the test and reliability etc.